Communications at the Poles have been difficult. Maybe it will be a little easier now. 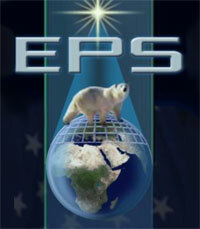 Dmitry Shulgin reports on the status of the Enhanced Polar System (EPS) Control and Planning Segment (CAPS) program. Northrop Grumman’s description of the program is here. This entry was posted in Antarctic, Arctic, Communications, Polar by Chuck Hill. Bookmark the permalink.